See how the gains you make when selling stocks will be impacted by capital gains taxes in your location. Barbara Friedberg is an author, teacher and expert in personal finance, specifically investing. For nearly two decades she worked as an investment portfolio manager and chief financial officer for a real estate holding company. Barbara has a degree in Economics, a Masters in Counseling and an MBA in Finance. She is committed to investment and money education. 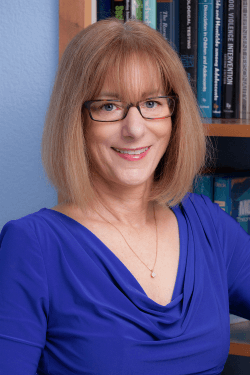 The author of “Personal Finance: An Encyclopedia of Modern Money Management” and “How to Get Rich; Without Winning the Lottery,” Barbara has taught courses in corporate finance and investing at several universities. Her writing has been featured in U.S. News & World Report, Yahoo and Money. Barbara currently serves as SmartAsset’s investing expert. If you are reading about capital gains, it probably means your investments have performed well - or that you are preparing for when they do in the future. If you’ve built a low-cost, diversified portfolio and the assets you hold are now worth more than what you paid for them, you might be thinking about selling some assets to realize those capital gains. That's the good news. The not-so-good news is that your gains are subject to taxation at the federal and state level. Let's talk about capital gains taxes - what they are, how they work and why, exactly, you should care about them. Let's say you buy some stock for a low price and after a certain period of time the value of that stock has risen substantially. You decide you want to sell your stock and capitalize on the increase in value. The profit you make when you sell your stock (and other similar assets, like real estate) is equal to your capital gain on the sale. The IRS taxes capital gains at the federal level and some states also tax capital gains at the state level. The tax rate you pay on your capital gains depends in part on how long you hold the asset before selling. There are short-term capital gains and long-term capital gains and each is taxed at different rates. Short-term capital gains are gains you make from selling assets that you hold for one year or less. They're taxed like regular income. That means you pay the same tax rates you pay on federal income tax. Long-term capital gains are gains on assets you hold for more than one year. They're taxed at lower rates than short-term capital gains. Depending on your regular income tax bracket, your tax rate for long-term capital gains could be as low as 0%. Even taxpayers in the top income tax bracket pay long-term capital gains rates that are nearly half of their income tax rates. That's why some very rich Americans don't pay as much in taxes as you might expect. 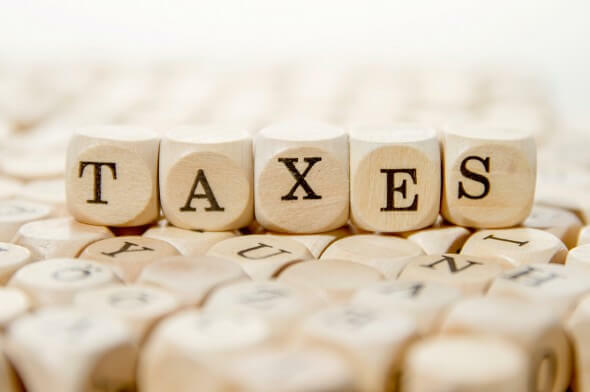 To recap: The amount you pay in federal capital gains taxes is based on the size of your gains, your federal income tax bracket and how long you have held on to the asset in question. To figure out the size of your capital gains, you need to know your basis. Basis is the amount you paid for an asset. How much you owe in taxes - your tax liability - stems from the difference between the sale price of your asset and the basis you have in that asset. In plain English, that means you pay tax based on your profit. Why the difference between the regular income tax and the tax on long-term capital gains at the federal level? It comes down to the difference between earned and unearned income. In the eyes of the IRS, these two forms of income are different and deserve different tax treatment. Earned income is what you make from your job. Whether you own your own business or work part-time at the coffee shop down the street, the money you make is earned income. Unearned income comes from interest, dividends and capital gains. It's money that you make from other money. Even if you're actively day trading on your laptop, the income you make from your investments is considered passive. So in this case, "unearned" doesn't mean you don't deserve that money. It simply denotes that you earned it in a different way than through a typical salary. The question of how to tax unearned income has become a political issue. Some say it should be taxed at a rate higher than the earned income tax rate, because it is money that people make without working, not from the sweat of their brow. Others think the rate should be even lower than it is, so as to encourage the investment that helps drive the economy. 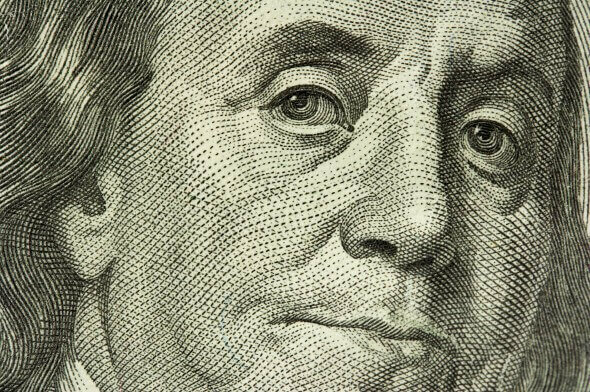 No one likes to face a giant tax bill come April. Of the many (legal) ways to lower your tax liability, tax-loss harvesting is among the more common - and the more complicated. Tax loss harvesting is a way to avoid paying capital gains taxes. It relies on the fact that money you lose on an investment can offset your capital gains on other investments. 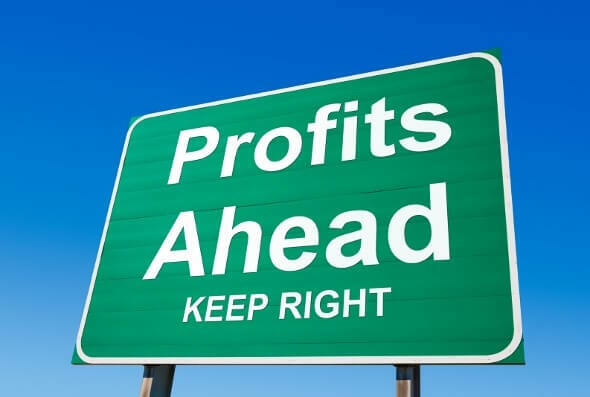 By selling unprofitable investments, you can offset the capital gains that you realized from selling the profitable ones. You can write off those losses when you sell the depreciated asset, canceling out some or all of your capital gains on appreciated assets. You can even wait and re-purchase the assets you sold at a loss if you want them back, but you'll still get a tax write-off if you time it right. Some robo-advisor firms have found ways to automate this process by frequently selling investments at a loss and then immediately buying a very similar asset. This allows you to stay invested in the market while still taking advantage of the tax deductions from your losses. Some people are devotees of the tax-loss harvesting strategy. They say it saves you big bucks. Others say that it costs you more in the long run because you're selling assets that could appreciate in the future for a short-term tax break. You're basing your investing strategy not on long-term considerations and diversification but on a short-term tax cut. And if you re-purchase the stock, you're essentially deferring your capital gains taxation to a later year. Critics of tax-loss harvesting also say that, since there's no way of knowing what changes Congress will make to the tax code, you run the risk of paying high taxes when you sell your assets later. Some states also levy taxes on capital gains. Most states tax capital gains according to the same tax rates they use for regular income. So, if you're lucky enough to live somewhere with no state income tax, you won't have to worry about capital gains taxes at the state level. New Hampshire and Tennessee don't tax income but do tax dividends and interest. The usual high-income tax suspects (California, New York, Oregon, Minnesota, New Jersey and Vermont) have high taxes on capital gains, too. A good capital gains calculator, like ours, takes both federal and state taxation into account. If you own a home, you may be wondering how the government taxes profits from home sales. As with other assets such as stocks, capital gains on a home are equal to the difference between the sale price and the seller's basis. Your basis in your home is what you paid for it, plus closing costs and non-decorative investments you made in the property, like a new roof. You can also add sales expenses like real estate agent fees to your basis. Subtract that from the sale price and you get the capital gains. When you sell your primary residence, $250,000 of capital gains (or $500,000 for a couple) are exempted from capital gains taxation. This is generally true only if you have owned and used your home as your main residence for at least two out of the five years prior to the sale. If you inherit a home, you don't get the $250,000 exemption unless you've owned the house for at least two years as your primary residence. But you can still get a break if you don't meet that criteria. When you inherit a home you get a "step up in basis." Say your mother's basis in the family home was $200,000. Today the market value of the home is $300,000. If your mom passes on the home to you, you'll automatically get a stepped-up basis equal to the market value of $300,000. If you sell the home for that amount then you don't have to pay capital gains taxes. If you later sell the home for $350,000 you only pay capital gains taxes on the $50,000 difference between the sale price and your stepped-up basis. If you’ve owned it for more than two years and used it as your primary residence, you wouldn’t pay any capital gains taxes. Nice, right? Stepped-up basis is somewhat controversial and might not be around forever. As always, the more valuable your family's estate, the more it pays to consult a professional tax adviser who can work with you on minimizing taxes if that's your goal. At SmartAsset we're all about investing in your future. If your investments perform well and you want to sell, you'll have higher tax bills to match. It's up to you to decide the lengths you want to go to in the quest to trim your capital gains tax liability. If you decide to go with a "buy and hold" strategy you won't have to think too much about capital gains until you decide to liquidate your investments. SmartAsset’s interactive map highlights the places in America with the savviest investors. Zoom between states and the national map to see where in the country the best investors live. Methodology Our study aims to find the places in the country with the savviest investors. We wanted to find where people are not only seeing good returns on their investments but where they are doing so without taking too much risk. In order to find the places with the savviest investors we calculated investment returns and portfolio volatility over the last year. We focused on data of user portfolios provided by our partner Openfolio. We calculated the risk-adjusted return of the stocks using the Sharpe Ratio. The Sharpe Ratio is the stock return minus the risk-free rate divided by volatility. We indexed and ranked each of the locations based on this risk-adjusted return to find the places where people were seeing the best returns for the least risk. Finally, we calculated the amount of money investors were taking home after paying both federal and state capital gains taxes. Sources: Openfolio - "Openfolio is a free and open network that lets people share their portfolios - but no dollar amounts, only percentages. The idea is that sharing will help everyone be better informed, like with this map."